If you are an ardent fan of 70’s and 80’s rock and metal then get set for exciting classic smash hit London musical, Bat Out the Hell! The mesmerizing Jim Steinman’s award-winning, smash-hit rock ‘n’ roll musical, Bat Out Of Hell is all set to make its grand return to the London West End followed by a completely sold-out London premiere at the London Coliseum in June 2017. The chartbusting London musical is adapted from the Meat Loaf’s legendary rock album, Bat Out of Hell. The show has always been a spectacular experience for the theatre lovers as it comprises of lots of glitz, glamour and sizzling score. Bat Out of the Hell, The Musical is directed by the Jay Scheib, the immensely talented award-winning American theatre and opera director. The sizzling production went on earning huge praise and applauds from both the audiences and critics from all across the globe alike at its original premiere at Manchester’s Opera House. 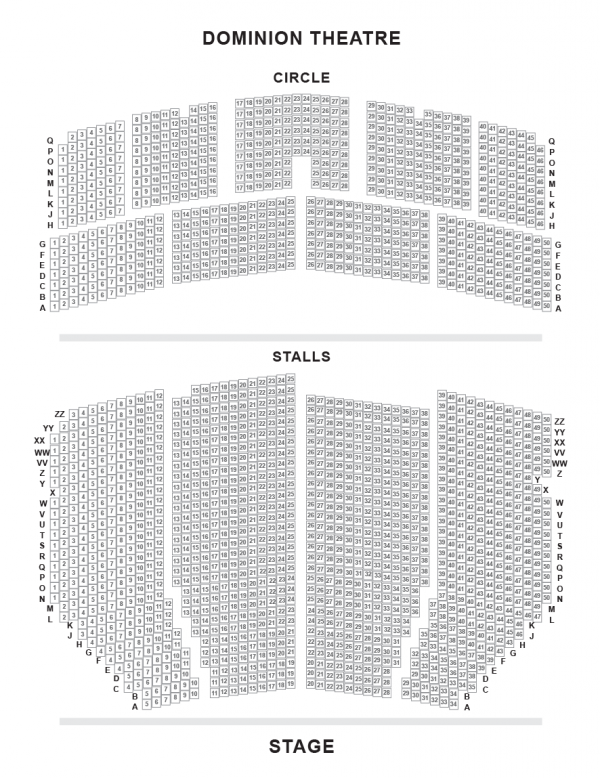 The show, Bat Out of the Hell, The Musical earned four and five-star reviews, whereas the limited season at the London Coliseum has been extended twice. Bat Out of the Hell, The Musical also performed on a limited run in Toronto and is set to make its London return in April 2018. The story revolves around a young rebel Strat. The young boy is in love with the daughter of the despotic Falco. 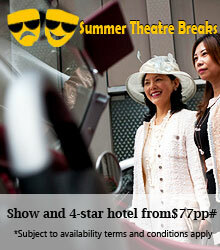 The hugely popular musical is quite fast-paced, action-packed with romantic adventures. It is the story of Strat who must battle against the dictators of post-apocalyptic city. The show is all about rebellion, youth and true love. 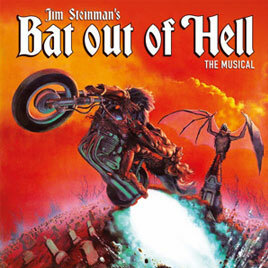 Bat Out of the Hell, The Musical features some chartbusting hits from Meat Loaf and Jim Steinman’s wonderful collaboration 1977 album that comprises of hits such as “I’d Do Anything for Love…… (But I Won’t Do That)", "Bat Out Of Hell" and "Two Out Of Three Ain’t Bad", plus many, many more. The original London casting featured Andrew Polec as Strat, Christina Bennington as Raven, Rob Fowler as Falco, Sharon Sexton as Sloane, Aran MacRae as Tink and Danielle Steers as Zahara. Further casting included Dom Hartley-Harris, Giovanni Spano, Patrick Sullivan, Jemma Alexander, Emily Benjamin, Stuart Boother, Georgia Carling, Natalie Chua, Jonathan Cordin, Amy Di Bartolomeo, Jordan Lee Davies, Olly Dobson, Hannah Ducharme, Phoebe Hart, Rosalind James, Michael Naylor, Eve Norris, Tim Oxbrow, Andrew Patrick-Walker, Benjamin Purkiss, Anthony Selwyn, Courtney Stapleton and Ruben Van Keer. Emma Porter’s fascinating choreography, set design by Jon Bausor, costume design by Jon Bausor and Meentje Nielsen, lighting design by Patrick Woodroffe, sound design by Gareth Owen and video design by Finn Ross, as well as orchestrations by Steve Sidwell makes the show a must watch theatrical experience. The three hours show is recommended for 12+.